I love writing letters, receiving packages in the mail, and sending packages too. A few days ago, I decided to create a care package for my mom. Before running out to stores and buying a bunch of stuff, I looked around the house for stuff I could give to my mom. For example, I have three books that she’s been dying to read including: My Stroke of Insight, Curious?, and Buddha’s Brain. I was planning on giving these books to the library; instead I’ll send them to my mom. 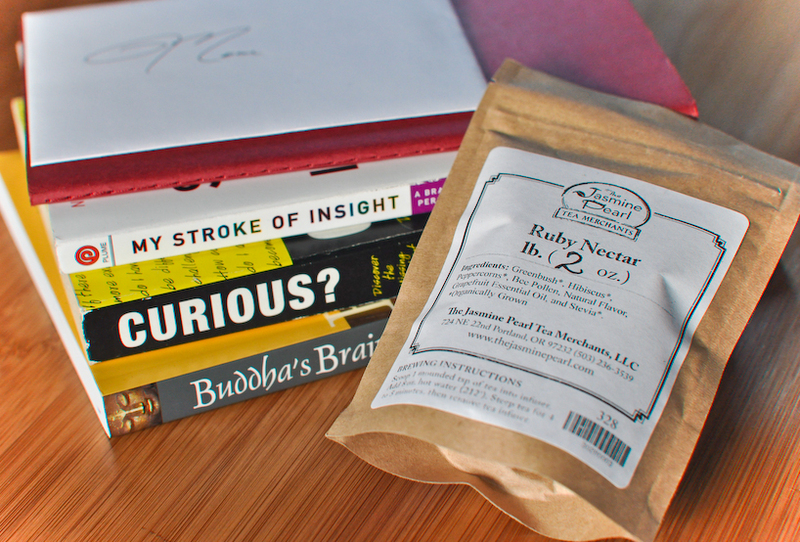 Other items I included in the package are a dark pink journal and a bag of Ruby Nectar tea, from The Jasmine Pearl. Even though the care package has a lot of fun goodies included, I felt stuck. So yesterday I asked for help on Google +. "Have you ever created a care package? What goodies did you include?" 1. Giving away stuff you aren’t using, but make sure the items are things the person can use. 2. Think about what the person loves, like chocolate, books, a journal, jewelry, or lotion. 3. Make a list of stuff you can make by hand, like a card, scarf, or mittens. 4. Remember, if you create a package with love the person receiving the goodies will be very happy! 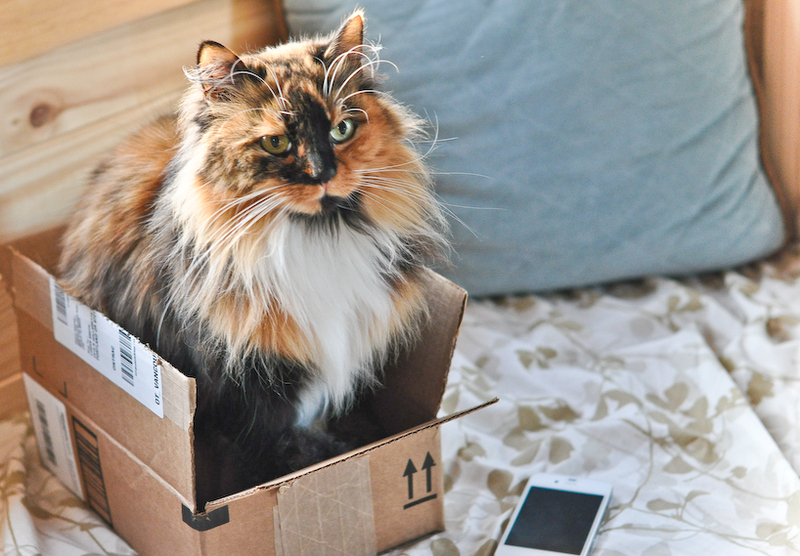 Micro-action: Create a care package of your own.